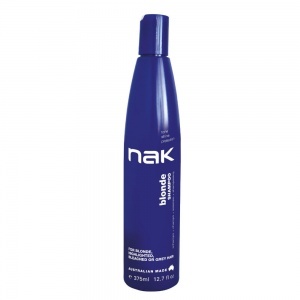 Nak blonde plus shampoo is heavily pigmented with violet-blue tones which will neutralise brassy, blonde hair, leaving you with a cleaner cool tone. Added proteins repair and strengthen your hair, helping to keep your hair in tip-top condition. 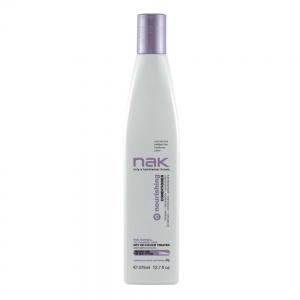 Stronger, healthier hair helps to retain cooler tones, leaving you less prone to fade. Directions; Apply to wet hair and leave for 1-5 minutes, depending on the neutralisation needed. Rinse thoroughly.